I love using my bread machine to make rolls. All I have to do is throw all the ingredients into the pan and the bread machine does all the work. No need to spend time mixing and kneading, just push the start button and go on with your day. When the cycle is through you just need to shape the rolls, let them rise and then bake. So easy! This roll recipe is my go-to roll recipe. I make these all the time for pot lucks, family parties or for dinner to go with a favorite soup. They are so good! Making them in a bread machine really makes them fool proof. They turn out perfect every time. All you need to do is add the water, milk, sugar and yeast in the bread machine pan and let sit for 5 minutes until foamy. 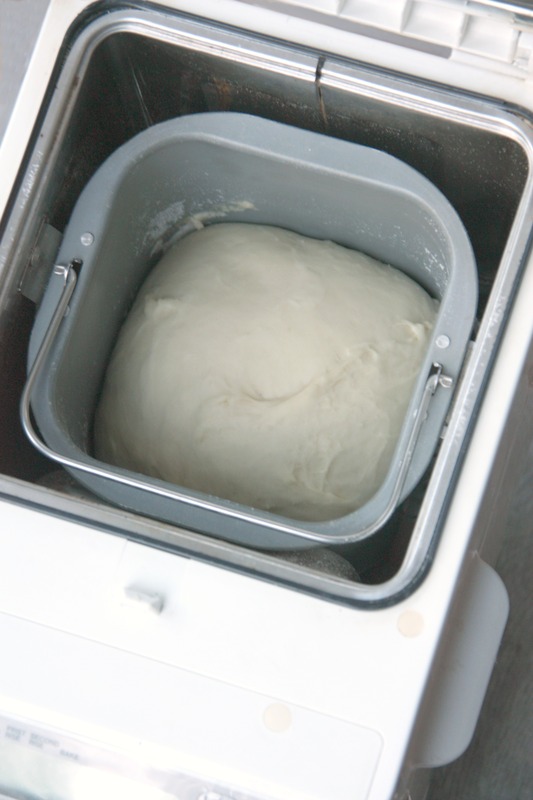 Add the rest of the ingredients and then choose the dough/knead cycle on your bread machine. Each machine is a little different so you might have to refer to your machine’s manual. I’ve had a machine that had a button that said dough and the machine I have right now has a knead/1st rise cycle. Whatever your machine calls the cycle it will take about 1 hour 45 minutes to mix, knead and rise the dough. Then shape the dough into rolls and let rise for one hour before baking. I usually shape mine into 1-2 inch balls because it’s easy. I hope you enjoy our favorite dinner rolls! 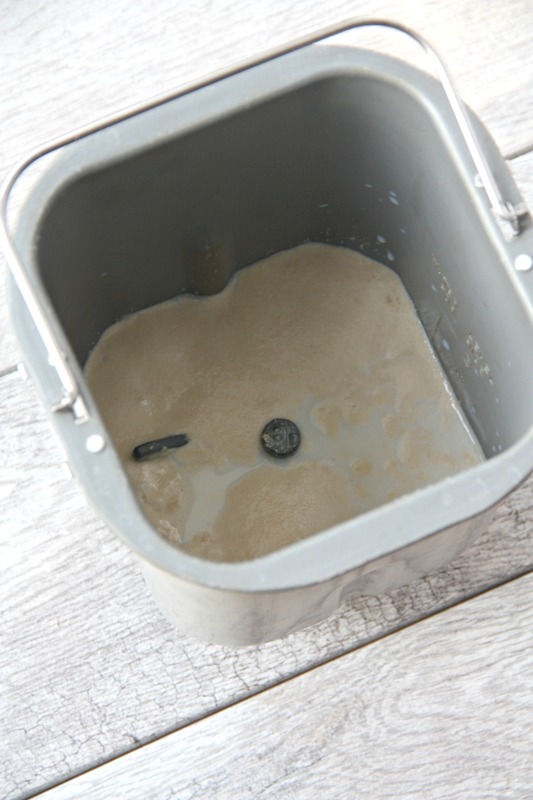 Add water, milk, sugar and yeast in the bread machine pan. Set aside for 5 minutes. Add remaining ingredients. Select Dough/Knead cycle; press Start. 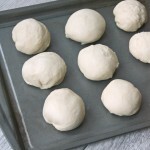 When cycle finishes roll 1-2 inch balls of dough and place on a lightly greased pan. Linked up with Buns in My Oven, Katherine’s Corner, Saving 4 Six, Tidy Mom and The Pin Junkie.